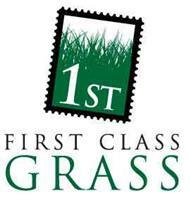 First Class Grass - Landscaper based in Lancing, West Sussex. After fitting artificial grass for several years we are now also supplying direct, the latest breakthrough technology in artificial grass. Originally designed for sports and recreational use, artificial grass has a proven record under extreme use. Now adapted for domestic use, the product has improved in texture, varied pile height and realistic lifelike shading. Artifical grass professionally entered the market as a long term domestic solution for gardens, roof terraces, patio cover ups and virtually anywhere outside. Being synthetic it is extremely resilient for pets and all vulnerabilities can be thrown at it. All our products have a minimum 8 years U.V. Guarantee, though to the nature of it being such a new product, tests naturally have not been carried out over a longer period. This is constantly expanding with a trade expectancy of the product being 15 years before you see any discoloration. We pride ourselves on providing as the name of the company suggests - A first class service, every time and not only this but after care is of extreme importance also and so any queries our customers may have, can come back to us safe in the knowledge we will provide them with the support required.